The world of networking is changing at a rapid pace (software defined networks (SDN), cloud provisioning, hybrid cloud, virtualization services, white box solutions, AI OPS, etc.) and ADP is continuing to innovate within this space to ensure the products we build for our customers are best in class. The role of Senior Director of Network Engineering at ADP contributes to setting the strategy and objectives for its global network that supports our critical services. As a leader in the ADP GETS (Global Enterprise Technology) group, this position is responsible for managing and improving the global network that supports and enables ADP’s talent management, HCM, payroll, and retirement services environments. This position will drive the definition and execution of network strategies that provide ADP with secure, reliable, flexible and cost-effective network solutions. This position will work closely with internal stakeholders and external service providers to ensure that the network services engineered and provided are aligned with ADP’s business objectives. The position requires the ability to balance multiple stakeholder needs while maintaining an enterprise-wide view and an eye to where technology is going. As a Senior Director, you will require an in-depth understanding of network engineering, 24/7 online network operations, branch technology and possess a solid understanding of high transaction infrastructure / application services. The role is a part of a high performing team in a fast-paced organization, requiring customer and business focus with demonstrated skills tied to leadership, people, communication, analytics, adaptability and technology. Manage a team of engineers who provide Tier 2 and 3 online network support, network engineering and network architecture services in a 24x7x365 multi-tenant online environment. Provide technical leadership and vision, mentoring, coaching, career development and feedback for performance management. Promote staff development, recruiting and retention. Develop and execute on a strategic network architecture and technology plan that serves as a multi-year roadmap for network architecture and investment decisions and integrates with the overall strategic plan. Build upon the existing public cloud strategy to ensure the needs of ADP developers are understood while ensuring scale and security are of primary focus. Evaluate emerging technologies, e.g. SDN, SDWAN, clustering, virtualization, etc. and create the implementation strategies for inclusion in the online global network. Deploy, integrate and leverage NMS tools to proactively monitor and alert on network performance. Conduct capacity and trend analysis to identify and resolve issues before they become service impacting events. Oversee the design and deployment of solutions for the distributed global network to ensure security, scale, cost efficiency, and high availability. 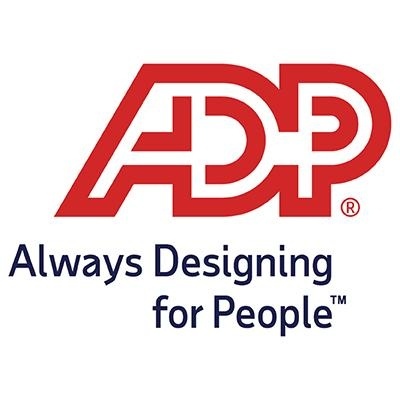 Collaborate and provide guidance to various teams at ADP and work with global technology teams that are providing solutions for servers, virtualization, containers, database, storage, and security. Develop and manage strong partnership with operations and delivery teams to ensure the successful execution of delivery, incident and change management processes. Conduct operational reviews and ensure support concerns are addressed and network optimization opportunities are leveraged in an effort to improve the ADP experience. Develop and manage a yearly network budget including CapEx and OpEx budget considerations. Review monthly expenses looking for variances. Identify business investments or saving opportunities that will improve service and reduce overall year to year budget expenditures. Work with the ADP Purchasing organization to further develop and manage strategic partner/supplier relationships which includes technical solutions, negotiations and contracts. Work with vendors to implement product feature improvements for reliability, availability, and serviceability. Work with our central management tool/team to ensure the proper identification, ownership, procurement and tracking or network assets. Drive towards continuous improvements through engineering, simplifying, and automation of existing processes. Develop leadership and technical skills within the organization. Bachelor’s Degree and 7+ years of technical management experience in a complex, globally distributed, high transaction digital infrastructure environment with proven responsibility for similar job functions. A minimum of five (5) years of WAN/LAN network architecture design and management experience. A minimum of five (5) years of network engineering experience with VXLAN, BGP, OSPF, MPLS, VPN, SNMP, Arista EOS, Cisco Nexus and IOS. A minimum of five (5) years of project management experience. A minimum of five (5) years of Senior Manager level experience. Proven ability to develop architecture and provide design oversight that incorporates high availability, automation, operations supportability and scalability to a high volume, rapidly growing world class digital business. Experience in managing global services and organizations. Track record of meeting published uptime and service level objectives. Ability to work comfortably in varying levels of abstraction across business strategy, product strategy, high level technical design, detailed technical design and implementation. Ability to function effectively under pressure in environments of rapid change and conflicting demands and crisis management. Demonstrated continuous improvement, quality methodology and project/operations delivery skills. Strong leadership skills and demonstrated creative problem solving skills. Demonstrated strong quantitative, analytical and conceptual thinking skills. Ability to depict the technical information conceptually, logically and physically. Excellent communication skills across all levels; ability to communicate complex, technical concepts to executive staff, business sponsors and technical resources in clear concise language that is the parlance of each group. Strong customer management and negotiation skills and the ability to mediate opposing viewpoints and articulate the advantages of a technology solution. Ability to manage a budget effectively and have solid contract management skills. Ability to work flexible hours and be accessible 24/7/365.